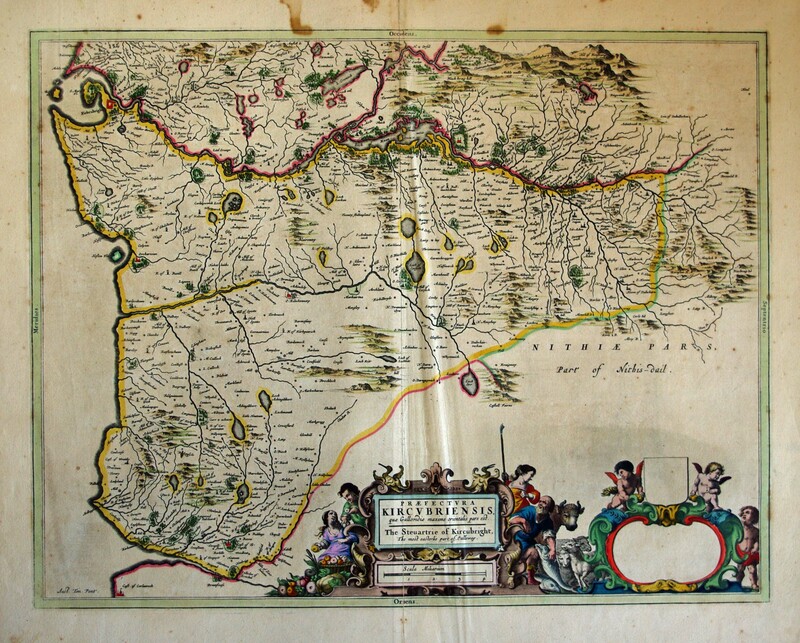 Blaeu's map of Kirkcudbright - Blank on back. Condition&colon; stains in margins - Repairs to margins and centrefold. Crease at centre.